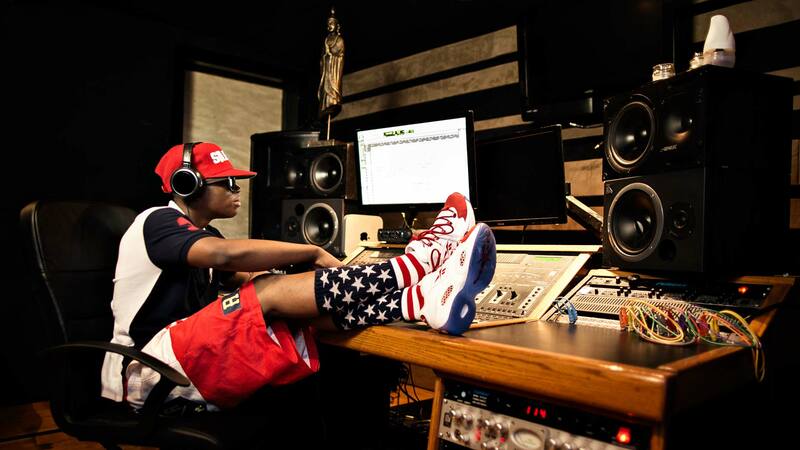 An editorial environmental portrait of young Atlanta rapper Silento, working at the mixing board while wearing Reebok sneakers and his signature preppy look with red, white and blue clothing. Photograph from a project to shoot stills and video of Silento for advertising and marketing campaign for Reebok. Photographer: Atlanta based celebrity, music, lifestyle, portrait and advertising photographer Nick Burchell.